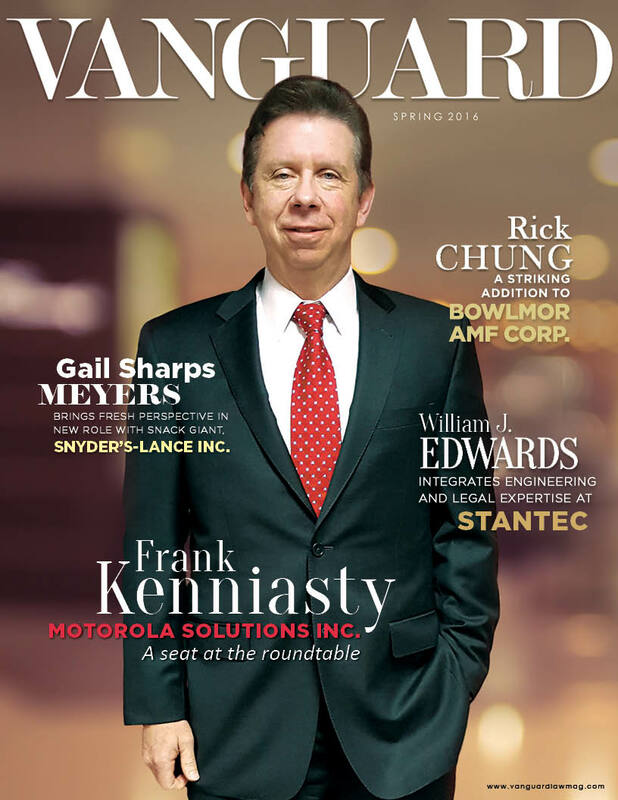 Nationally recognized publisher establishes Vanguard law magazine to fill content marketing niche for legal professionals. Vanguard provides the exposure and marketing materials legal professionals need to stand out, and shape and manage their online reputations. TrueLine Publishing has released the inaugural edition of Vanguard, a quarterly publication dedicated exclusively to the perspectives of law firms and in-house legal counsel — highlighting the varied roles legal professionals play in protecting and advocating for their clients and companies, allowing them to plan for future growth and security. Vanguard provides a medium for networking, sharing information and marketing, tying together legal professionals from firms of all sizes and companies in a broad range of markets. Whether discussing the patent work of an attorney at a boutique law firm or examining how the in-house legal counsel of a multinational corporation mitigates risk, the diverse collection of case studies in Vanguard’s inaugural edition illustrates how firms provide analysis and guidance to clients and how in-house counsel is a key component of a company’s leadership team and long-term success. Vanguard is an optimal platform for relating the perspectives and success stories of in-house counsel and law firms. Proactive initiatives to provide affirmative, web-based information and marketing materials to potential clients and business partners help distinguish law firms from their competitors and allow corporate counsels to showcase companywide contributions. 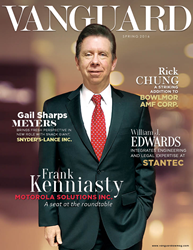 Much more than a magazine, Vanguard tells insightful stories and also facilitates connections between legal professionals from distinct markets with the goal of creating a better connected industry. Vanguard from TrueLine Publishing is a magazine dedicated to highlighting the stories, successes and accomplishments of legal professionals across the United States. All you need is a story to tell. We’ll work with you to create an article that reflects you and the business you represent, as well as provide custom marketing material that will be shared with our 15,000 readers. Get involved and tell us your story today at http://www.vanguardlawmag.com/contact.